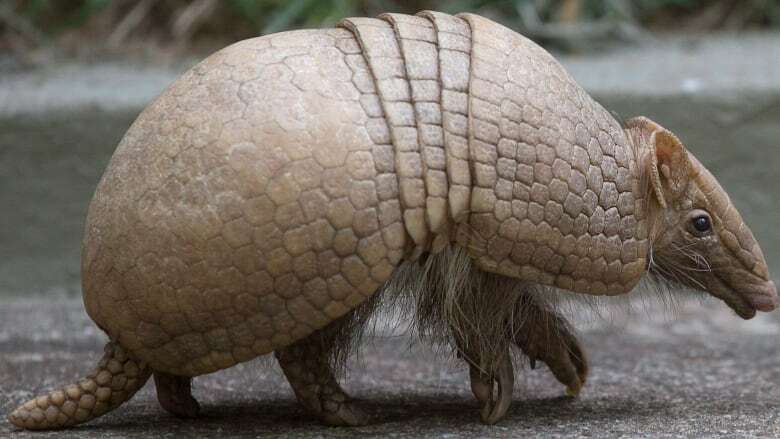 A Texas man was airlifted to hospital to get his jaw wired shut after he tried to shoot an armadillo and a bullet rebounded off the animal's hard shell, striking the man in the face. Cass County Sheriff Larry Rowe said the man, who was not identified, went outside his home in Marietta, Texas, at around 3 a.m. local time Thursday morning. He spotted the armadillo on his property and opened fire. "His wife was in the house. He went outside and took his .38 revolver and shot three times at the armadillo," Rowe said. The animal's hard shell deflected at least one of three bullets, which then struck the man's jaw, he said.